Different styles of faces to match caps, hats, headwears , for men, ladies, women. For Men : different faces of men match to headwears, caps, hats. 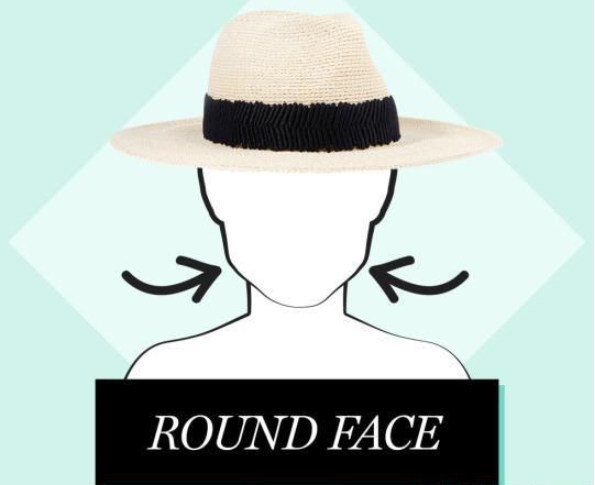 A man with square face should choose a round and a radian hat. Be sure to avoid that kind of hat like magician or sorcerer's pointed hat .You can even slightly tilted his hat to break the rules rules that made sense. A man with short face, the face is quite wide. so these men must work hard at the height of the hat. Brim must be narrow, the cap must be high, narrow. Can back a bit wearing appropriately, next to slant a bit at the same time. Avoid by all means is a baseball cap, choose cap must also choose and brim hat is the height of the arch. A man with round face, should choose medium height, full crown cap (there is no gap narrowed), is a founder of the hat and brim can become warped on both sides and don't wear the hat back forward. For Ladies : different faces of women match to headwears, caps, hats. For a round face, the key is to increase the length, so is suitable for middle raised high crown hat, avoid flat hat that will only make your face look round. 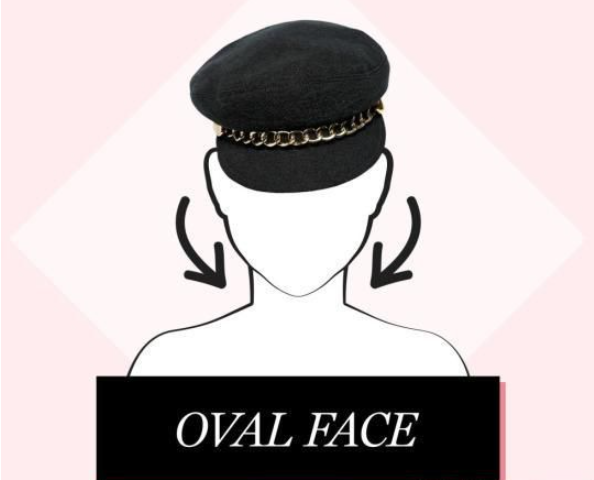 Oval face is suitable for the vast majority of hats, so the most suitable for trends, such as the navy cap and panama hat can let you add glamour. Besides, women baseball cap is a good choice for lady with oval face. Wear narrow rectangular face brim and short crown cap, and face the edges, can choose cloche hat in the picture, the bucket shape hat and tourists love fisherman's hat. Square face feature is "where" the kingdom of word, so hat available to soften the face. Slightly to droop wide-brim fur and bowler hat for your face increasing degree of arc. 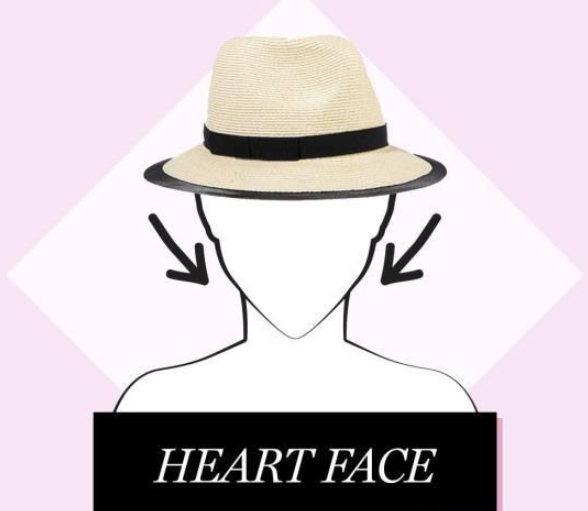 Heart face, Narrow frame is characterized by large forehead and chin, so is suitable for the hats that with brim of medium width and hoods of medium height. Women baseball cap is very suitable for this kind of face of ladies, if you have a baby face as well, this ladies even can try some colorful kids baseball caps, that will be different good amazing feeling! General speaking: How faces match to headwears, caps, hats. The round face: Suitable for the a type of flat cap, the hat brim had better be rich in the lines, the width of the hat brim is suitable for between 7- 10 cm. 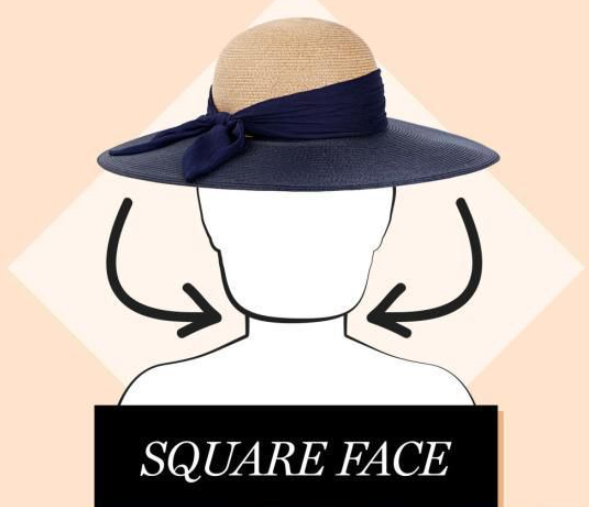 The square face: Except that it is unsuitable to select the square cap for use, the others are all more suitable. 7-20 of width of hat brim. 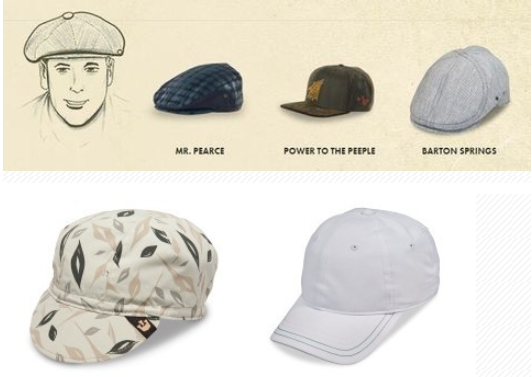 The sharp style face: Unsuitable to wear peaked cap, in this way can make face heavy to lay light seem, give feeling that people become thin, you had better select the round-top cap, fitted caps, for sure, New era cap is a good option as well. 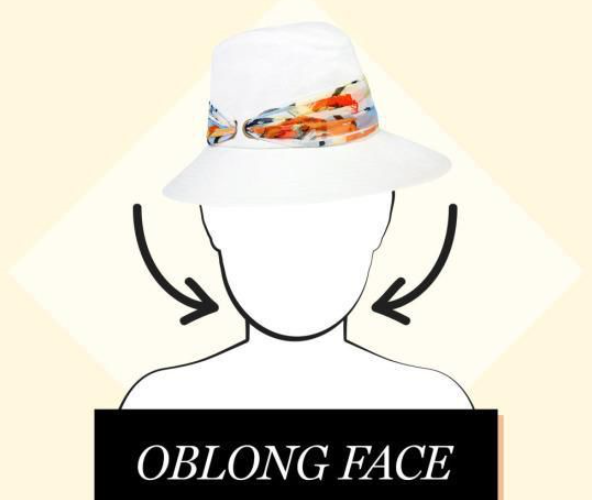 The long face: Don't choose light cap along or top bottom cap, in this way can draw face long, suitable for, choose broad brimmed hat or hat brim downward cap. The oval face: Suitable flat brim cap, the cap need to be a little ornamental to intersperse, the width of the hat brim is the best by 12 cm. For full of vigor women, sport cap or cap along behind should for best choice. Middle aged women have ripe graceful bearing, can choose relatively dark or cap along the cap down, can give somebody ripe aesthetic feeling, but there can't be too many decorating. Tall women unsuitable to wear tubes style cap, so can lead to the fact the too tall result; Petite and dainty women should avoid a flat cap, will seem top-heavy in this way; Fat women mustn't choose the overly stingy cap, will line with so that the body is more hugely instead in this way. Should choose the top-grade, exquisite in workmanship, ornamental strong cap of material in social etiquette occasion, can wear cap with a long brim occasions indoor, it should choose elegant caps in the banquets outdoor, attend the grand occasion such as the wedding, will wear and intersperse more caps ornamentally soon. In daily life, some one should choose caps at his or her willing, but must consider the occasion different for a different choice of the cap. While going out to travel, can wear the lively sun helmet random, bright in luster, sport cap, the working occasion can be worn with clothes color coordinating, beret or small along the hat with succinct model. From Above articles you may have an idea of faces to match to caps and hats, headwears, if you wanna know more about caps ,hats, headwears to match to different faces for men, women, ladies, you can click here caps choose to see more details.